Phoenicia lovers, this reasonably priced and tidy 2BR home is located at the end of a quiet Town maintained dead end road just a two minute walk to the Esopus Creek. A quick and scenic walk will lead you straight into town, and hikers, just around the corner from the house is the Mt. Romer trailhead. Enjoy the spacious open floor plan with kitchen and DR flowing into the living area with its wood stove. The bathroom has a huge closet with washer/dryer hook up, and the house's water is municipal. There are mountain views from the house and deck. Easy to maintain, it's a great house for full or part-time use. Recreational opportunities abound in Phoenicia, along with a fun restaurant and arts scene. Only 2 hours to the GWB, and less than five minutes to the world famous Phoenicia Diner! 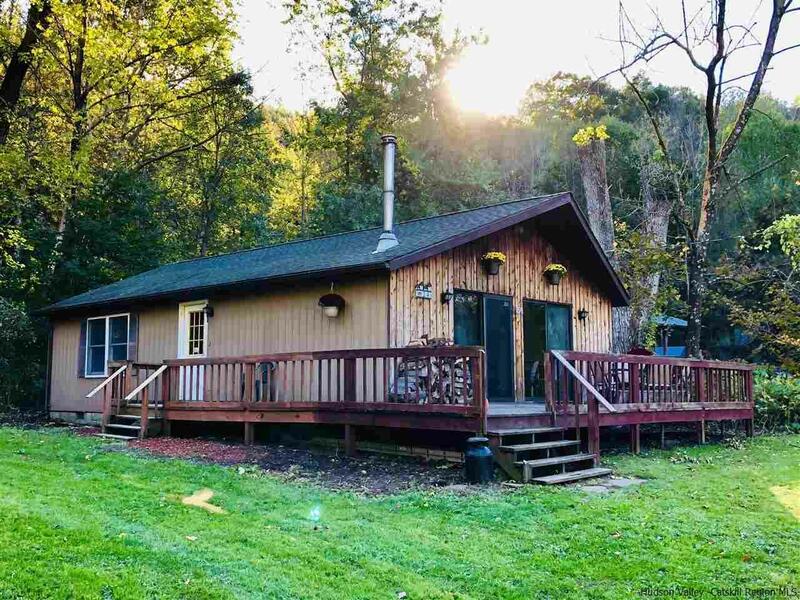 This home is truly a steal for Phoenicia, where affordable housing is in high demand, especially for something in good shape so close to the village and creek. Do not let this one slip by!